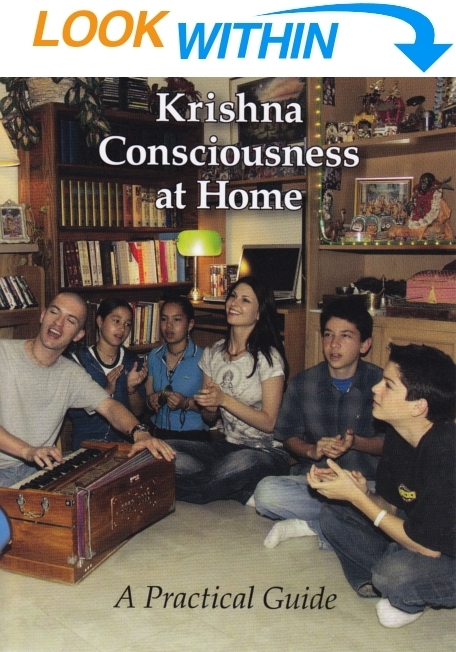 Krishna Consciousness at Home is for anyone with a beginning interest in Krishna consciousness who might not live in or near an ISKCON center. This is a practical guide for spiritualizing anyone's personal space. Krishna consciousness means using everything—mind, body, words, home, and possessions—in devotional service to the Supreme. Includes tips on chanting—especially the Hare Krishna mantra—as well as on setting up a home altar and how to prepare and offer food to Krishna. Readers are introduced to the idea behind following regulative principles, as well as the importance of reading Srila Prabhupada's books—for understanding the philosophy behind the practices of Krishna consciousness.